Hi Hey, check out our new features for this week! Just when you thought we were done with Campaigns! To make campaigns more robust and outcomes-driven, you can now set specific goals for both Tool Adoption and Content Engagement. This way, you can easily see if your efforts are helping you hit your targets. In addition, you can now see the Support Reports for the help items that are part of a campaign within the campaign itself. 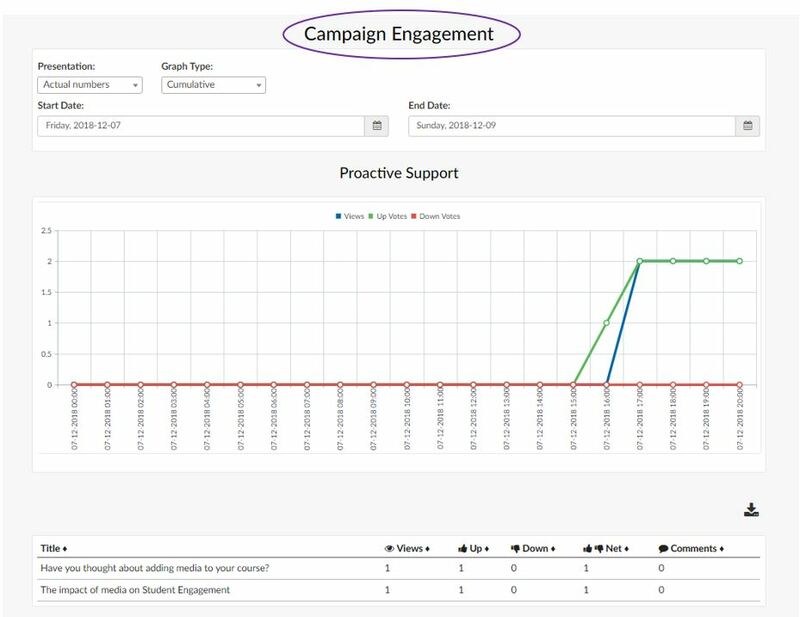 When creating a new campaign, there is now a step (shown above) that allows you to set goals for the adoption level of the selected tool(s) as well as the content engagement for the help item(s) related to the campaign. These numbers represent percentages of adoption or engagement respectively, and are visually indicated in the campaign window (shown below) under Outcomes. At a glance, you can see the immediate impact of your efforts measured against your targets. 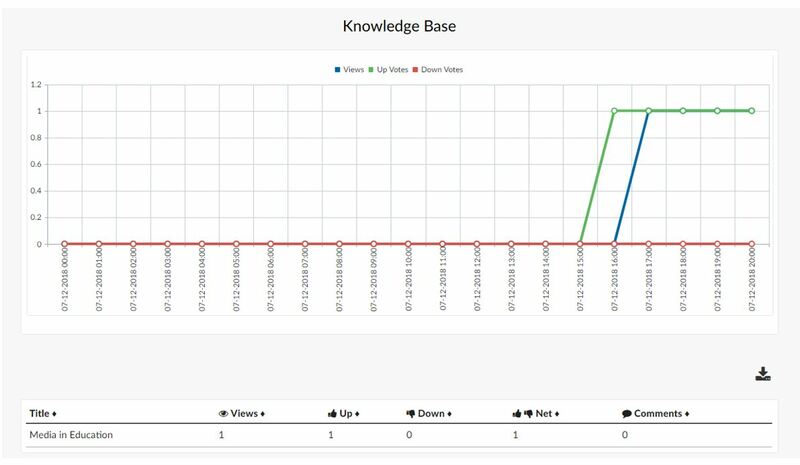 When you click on View More under Campaign Engagement, you will now see the Proactive Support and Knowledge Base graphs for the help items that are associated with your campaign. The filters at the top apply to both graphs. When you click on View More under Tool Adoption, you will see the Tool Adoption graph associated with your campaign as you did before. We hope these new campaign features are helpful in providing a clearer picture of the impact your communication and training efforts have on LMS adoption. But wait... There is more to come with campaigns soon, so please stay tuned! Last week, we were in Monterey, California attending the Directors of Educational Technology/California Higher Education (DET/CHE) annual conference. Thank you to Nancy Cutler from Santa Clara University for helping host another amazing event! We loved seeing our friends from San Diego State University and California State University, Chico as well and are definitely excited for the future collaborations that may come from this great conference. If you are a Blackboard user, please make sure you upgrade your EesySoft Building Block to version 2.3.74. Please continue to use Receptive to make suggestions and VOTE for features you would like to see. If you have any questions, please contact us at support@eesysoft.com. You are receiving this email because your institution has purchased or is trying out EesySoft. Copyright © 2018 EesySoft, All rights reserved.